The Insulspan® R-Plus SIP System expands your energy efficient building options. While our standard EPS panels provide excellent efficiency, our R-Plus panels can increase overall R-values up to 20%. Insulspan’s R-Plus SIPs consist of EnerSpan® insulation cores with oriented strand board (OSB) structurally laminated to the interior and exterior faces. EnerSpan® is an expanded polystyrene (EPS) insulation manufactured using BASF’s Neopor® F5300 Plus. This graphite-enhanced expandable polystyrene (GPS) insulation reduces radiation heat transfer. The addition of the graphite makes these GPS SIPs easily recognizable by their grey color tone. 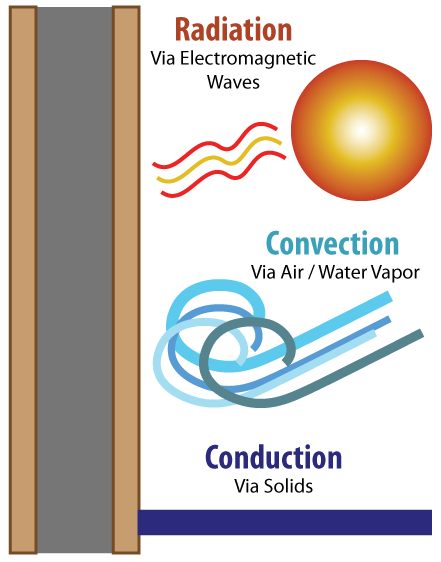 You may recall from high school science class that there are three ways that energy can be transferred: conduction (via solids), convection (via air or water), and radiation (via electromagnetic waves). All Insulspan SIP systems address conduction and convection. The addition of Neopor® to our EPS insulation adds a direct resistance to radiant heat transfer. Just like our standard SIP system, Insulspan® R-Plus SIP Systems build walls, roofs, and floor assemblies. In addition, we can manufacture our Nailbase Panels with GPS insulation. The added advantage is that you can use R-Plus to reach higher R-values with thinner panels. Need even higher R-values? Or, need increases in the R-values of your walls or roof without moving up to thicker panels? Our R-Plus Neopor® system perfectly meets your needs. To learn more about the R-value/RSI of Insulspan SIPs, please visit our R-value page. Check out the product information in the Resources section. Call and speak to one of our SIP specialists.